The use of light figures prominently in two of the exhibitions currently at the Museum of Brisbane. One, Robyn Stacey’s ‘Cloud Land’, draws us inside her artworks as images of Brisbane from a camera obscura (pinhole camera) are captured on the walls engulfing the viewer. It’s certainly a new way of looking at our city, even if the images are necessarily upside down. 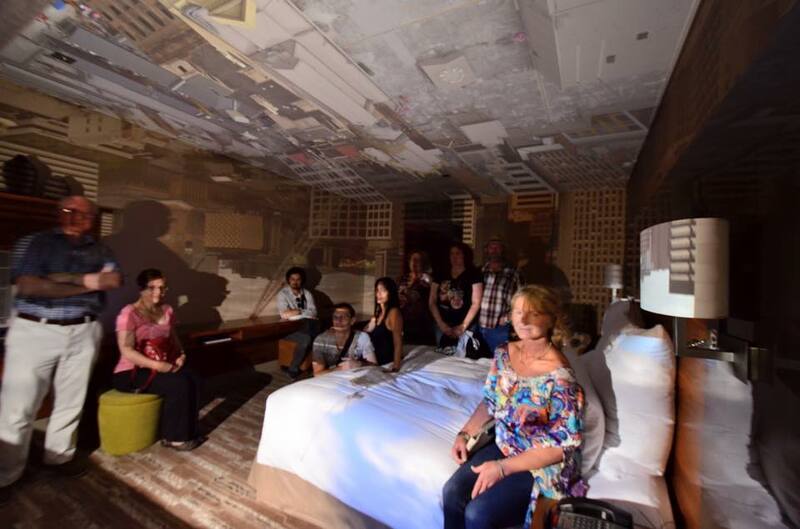 As part of the Open House in Brisbane recently, I attended a practical demonstration of the camera obscura in a bedroom in the Hilton Hotel. Lying on the bed made viewing the images more comfortable, but unfortunately the day was cloudy and the images were difficult make out. Well, I suppose the exhibition was called Cloud Land. The second ‘light’ exhibition at the Museum of Brisbane was a collection of paintings by William Bustard, an Englishman who came to Brisbane in 1921 and, unlike his compatriots of a century earlier who painted the Australian landscape in dark European colours, was profoundly impressed by the distinctive sense of light here. It figures prominently in many of his paintings. 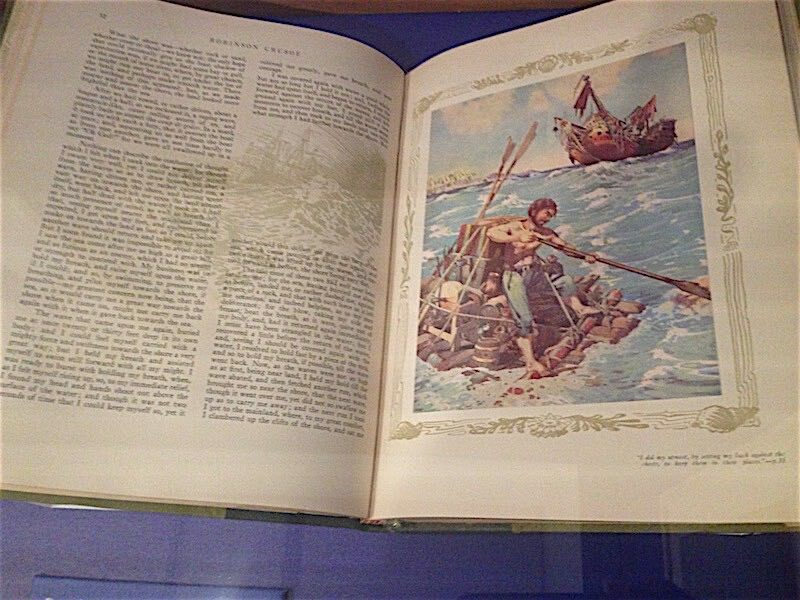 However, the biggest surprise I had was to find in a corner of the exhibition, encased in glass, an open book ‘Robinson Crusoe’ showing one of his illustrations. For me, it was a case of remembering things I didn’t even realise I’d forgotten. I had once owned a copy of this book myself, but all memory of it had been submerged by the intervening 60 years. I wonder what ever happened to it? Perhaps it was my own book I was now privileged to look at once more?